Maybe we can meet and go together to schweinfurt ? I will be there too, so maybe we can meet in luxembourg and drive together?! i tought youÂ´d pass luxembourg on the way to schweinfurt?! Wich way do you take to schweinfurt, maybe we can meet somewhere? so it will take some time to get it home. But meanwhile the electric, a Megasquirt MS2 Extra runs properly so far, no issues after the trouble before. Laatst bijgewerkt door Swazy op di 27 okt 2009, 11:59, in totaal 1 keer bewerkt. but the car will lool much better with the new wheels and the rallye arches i still have here. if you are going to place the ralley arches, are you going to cut away metal from the rear wheelarch? but if you want to place the ralley arches properly you will need to cut away metal from the rear. Otherwise you will see the metal of the wheelarch under the ralley arch. 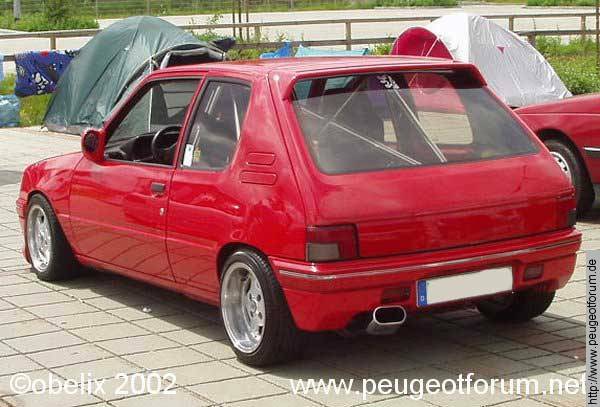 A ralley has the same cut away from the rear arches as a gti.